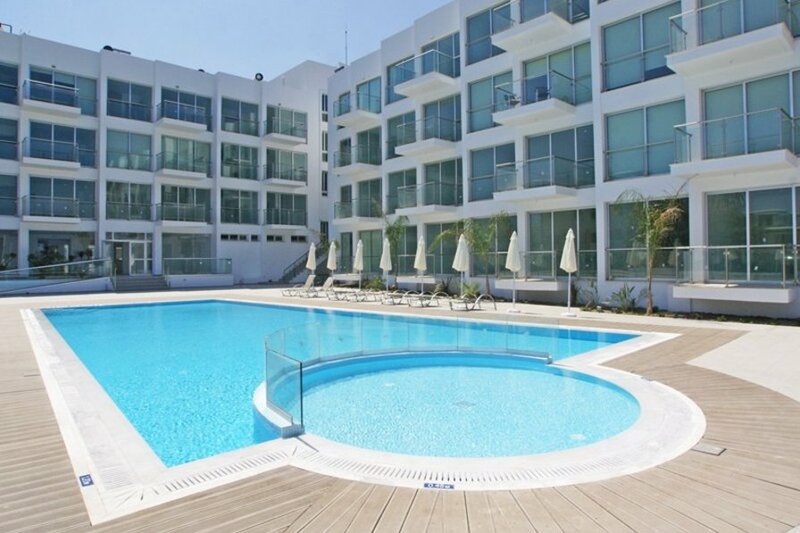 This spacious and modern new one bedroom apartment is a part of a modern complex situated 200 meters from the beach. It has big kitchen, 2 toilet/shower rooms and sofa bed in the living area and can easily accommodate 4 persons. It is fully-equipped and air-conditioned, and offers all the comforts to make your stay comfortable and unforgettable. Just steps away from the sea, apartment is suitable for families or couples alike. The famous Fig Tree Bay is just a short walk away and there are a few smaller beaches nearby. The excellent bars and restaurants are within walking distance, too. The complex boasts gym, spa, tennis court, 2 outdoor pools and baby pool. Gym and Spa available from April until November and extra charge .